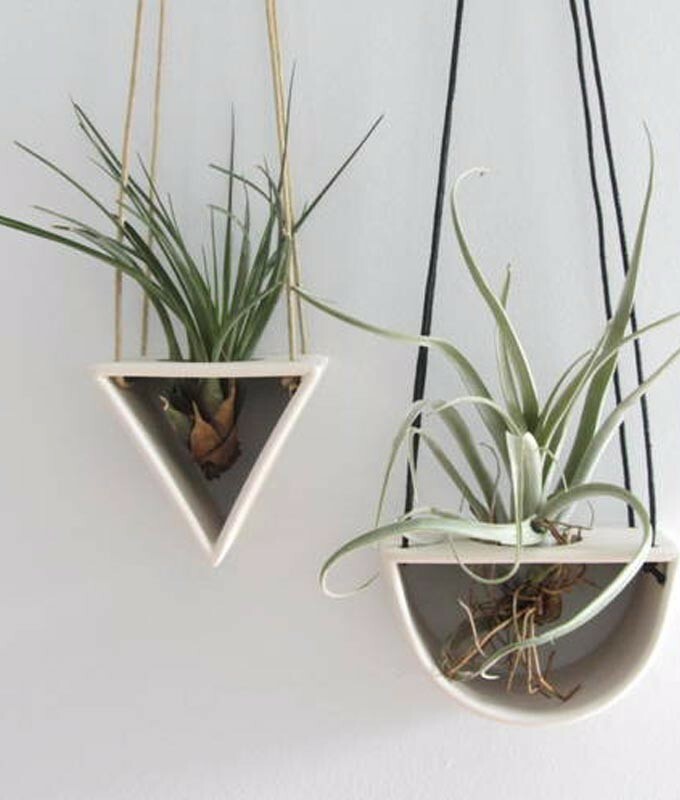 These air plant hangers add a little zen to your room. You can hang them freely and they are lightweight. With the visual lines they create, they look great hung flush on a wall . Each air plant hanger is hand constructed from porcelain clay.